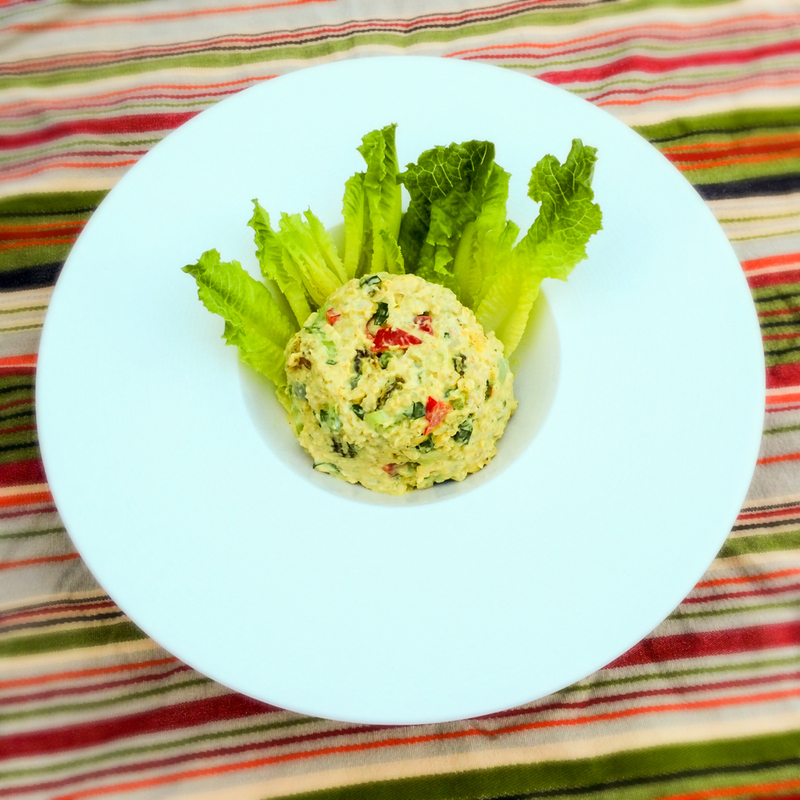 Curried Chickenless Salad — Good Food Makes Me Happy! You don't have to worry about this salad going bad at a picnic (no eggs)! I've been making this vegan recipe for decades and it's always a hit. Serve as pictured with some lettuce, or use it in sandwiches. The longer you let it sit in the fridge (a few hours or overnight), the better the flavor. To poach tempeh, place in a saucepan with water to cover and bring to a simmer. Continue to simmer gently for 10 minutes, then remove from the water and pat dry. Grate and put in a bowl. Add the rest of the ingredients and mix until thoroughly combined. Cover and refrigerate at least 30 minutes to allow the flavors to blend.